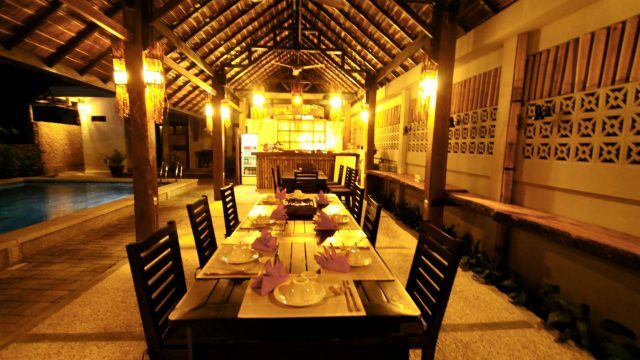 There is one food-and-drink outlet, the ‘Wild Mango Restaurant & Bar’, beside the swimming pool. 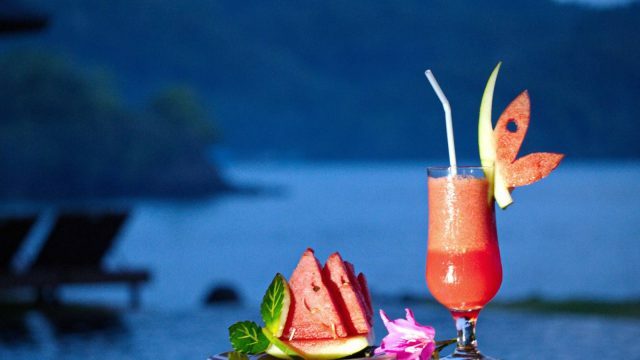 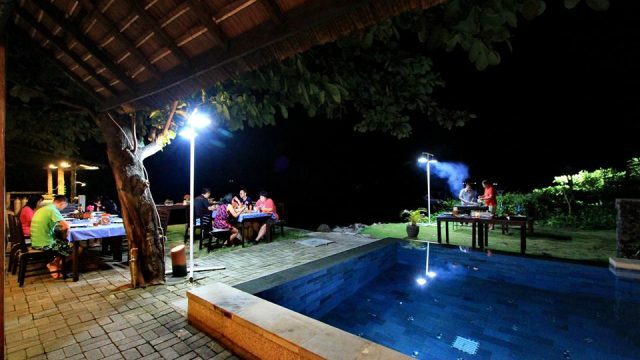 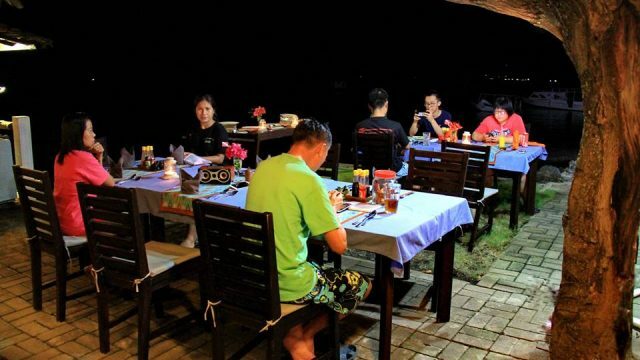 The restaurant overlooks a quaint little island and the Lembeh Strait, with a fabulous view across the blue sea to gleaming white limestone cliffs, making it great place for dining and relaxation. 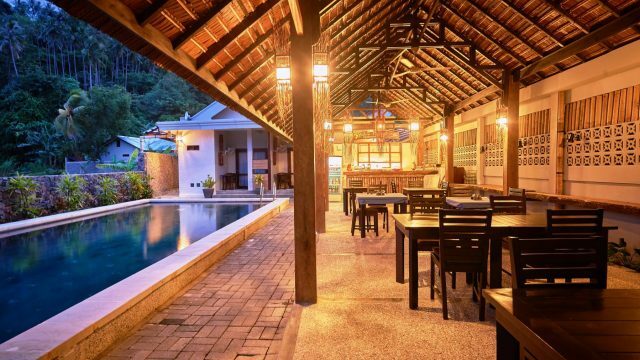 The restaurant is constructed using solid timber columns and selected sago palm leaves to create an atmospheric setting for the perfect tropical holiday. 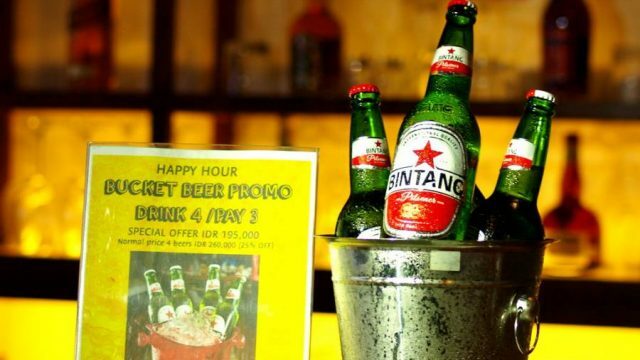 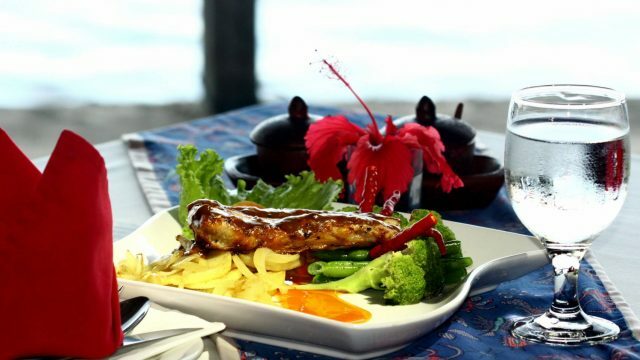 An interesting international menu, and a selection of alcoholic and non-alcoholic beverages are on offer. 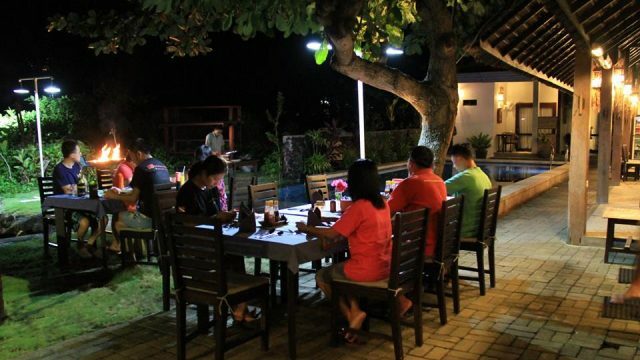 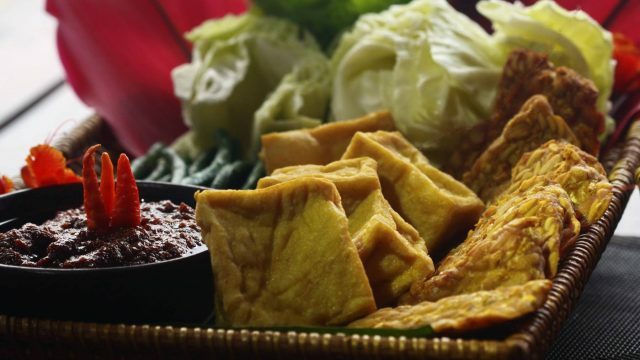 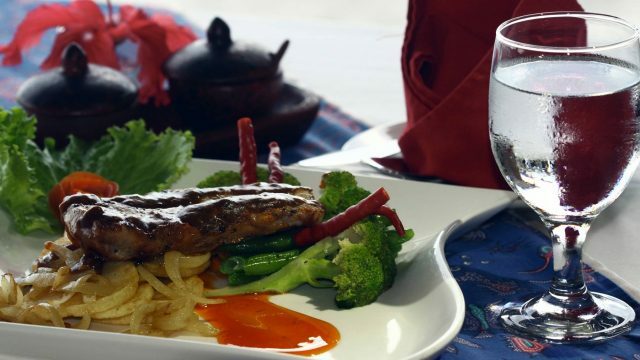 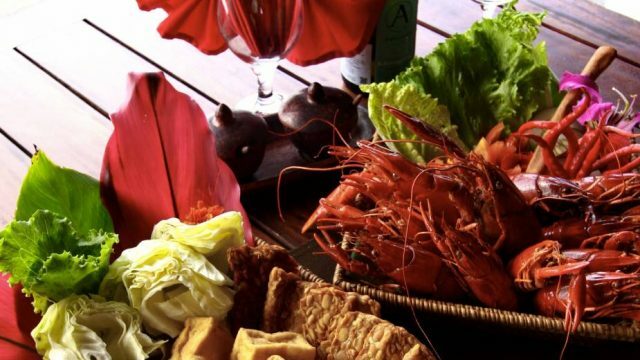 The emphasis is on local Manado cuisine using fresh local ingredients.